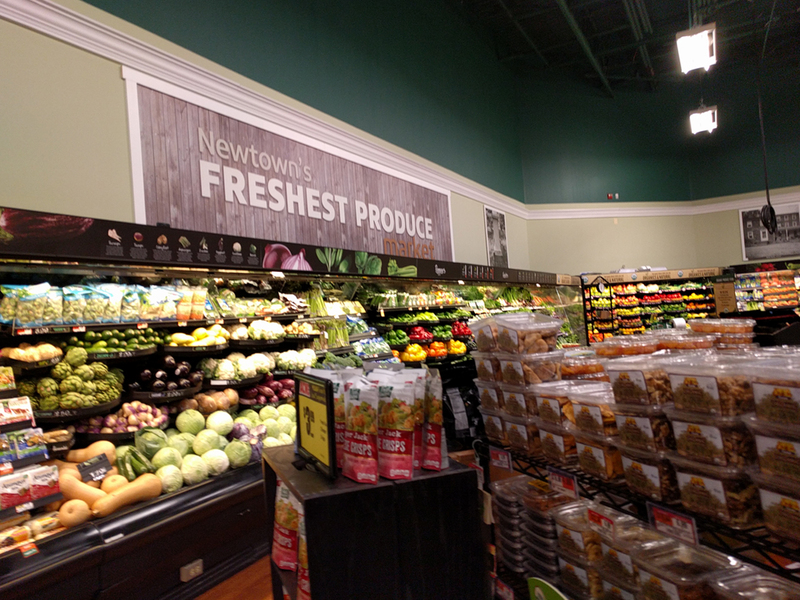 Self-checkouts to the rescue in Fort Lee! What a beautiful sight! 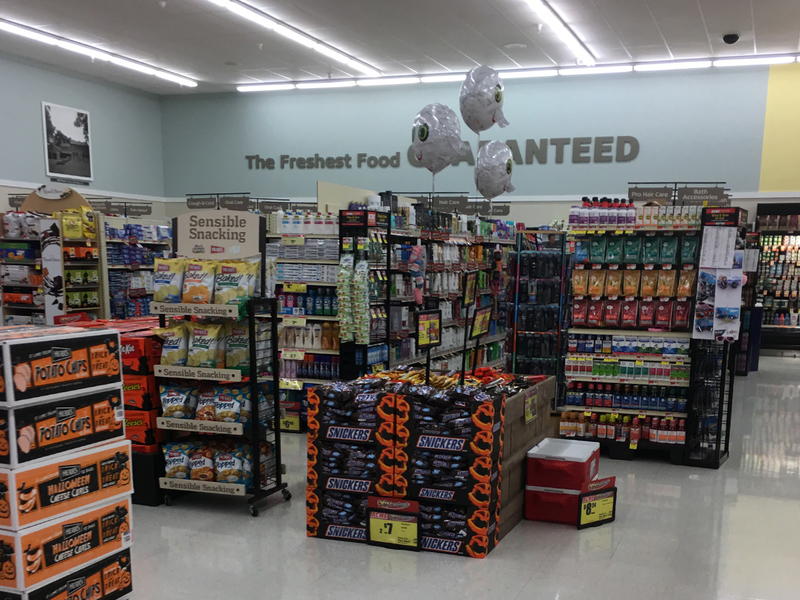 5 brand-new self-checkouts in the exact spot where A&P had theirs. This area has been completely dead space since Acme took over. 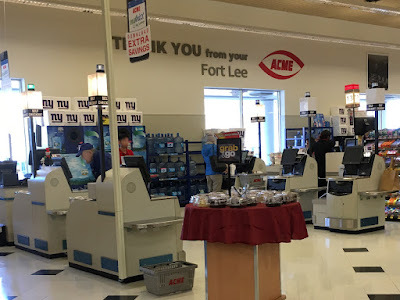 Despite having a beautiful Quality Built décor update, Fort Lee did not receive a new Customer Service/express register desk which would have made perfect sense in this area. 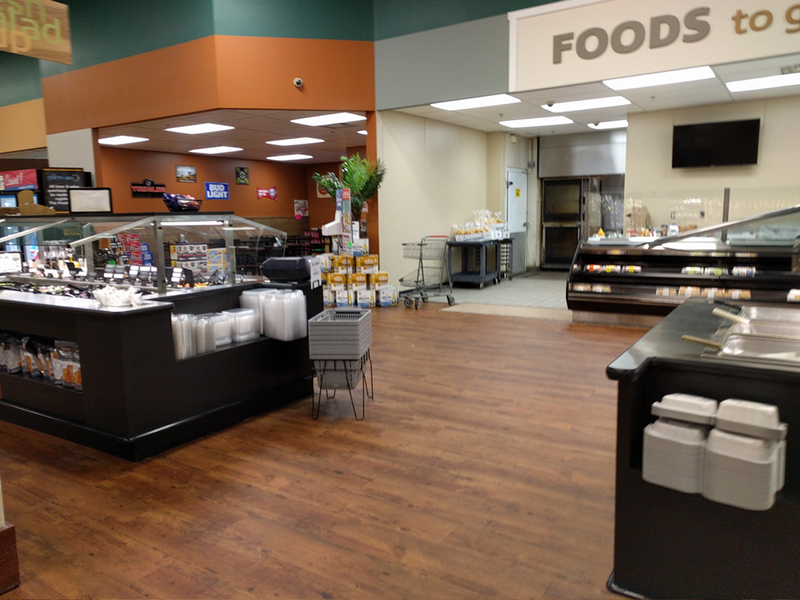 And check this out... they even have an express register open beside all the self-checkouts! 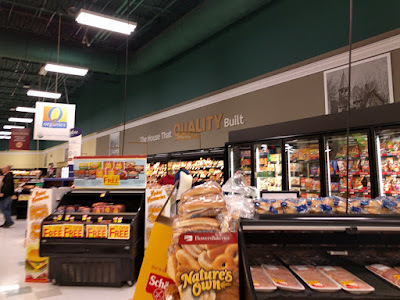 More often than not, this store has zero express registers open. The self-checkouts could not have come sooner. Fort Lee has been getting hammered on yelp for its lack of open registers. 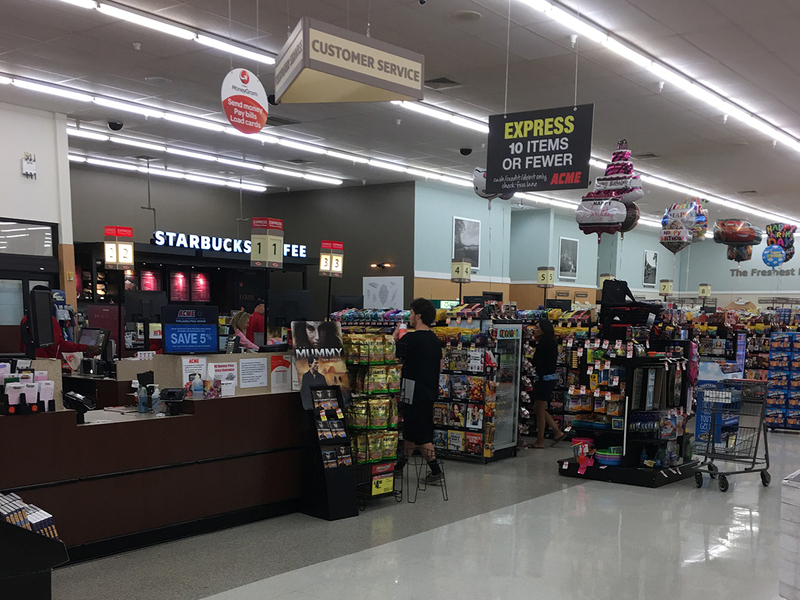 Same complaints that we've been seeing at so many other stores... only 2 to 3 registers open, long lines, employees standing around doing absolutely nothing. It's been the Acme way for two years now. 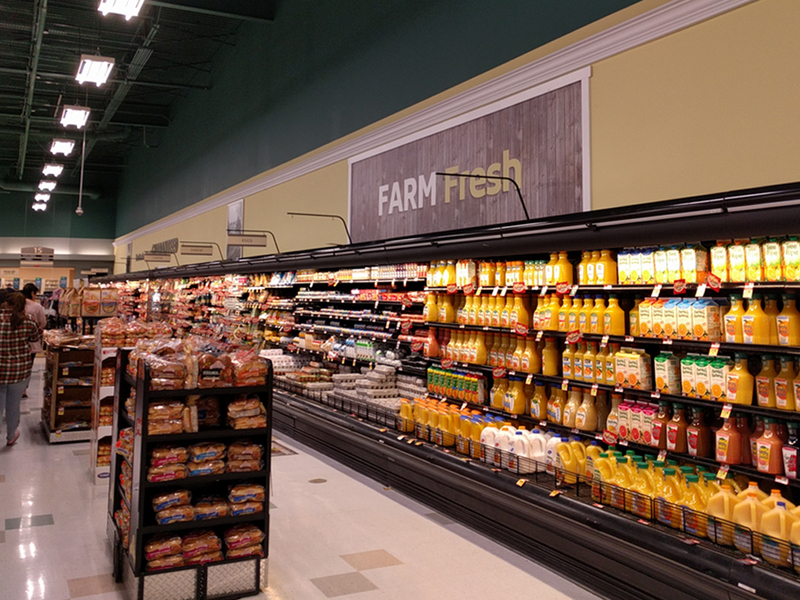 This past Saturday, Fort Lee had NINE registers open and ready for customers. 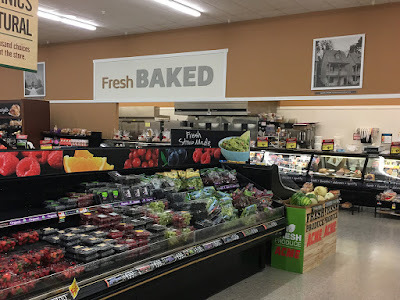 Hopefully this store can win back disgruntles shoppers! 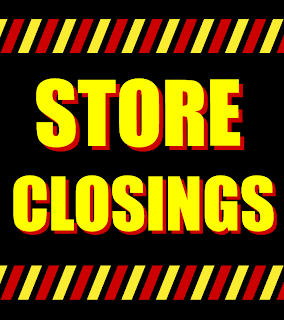 For a full tour of the Fort Lee store, please click here. 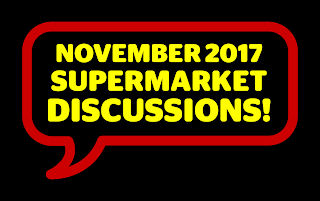 Well gang, I could not get the big store post planned for today finished. Work has been murder! It will be going up next week for sure. Until then, I am getting out of town and as far from my laptop as I can get. Hope you all have a nice Thanksgiving! 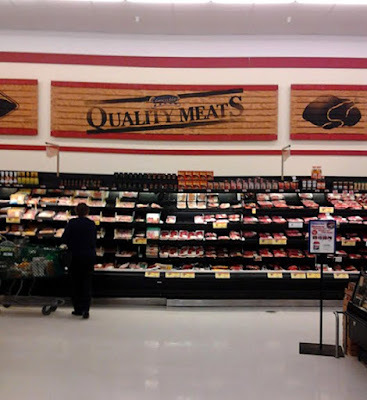 Quality Built has replaced one of the most bizarre décor packages we've ever seen in an Acme. 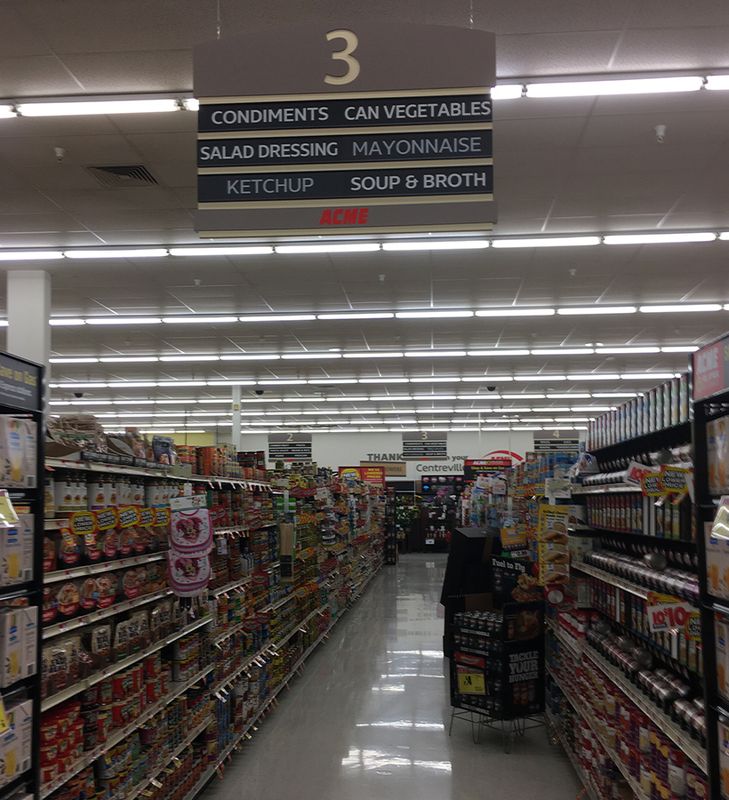 The remodel also appears to have improved the layout which was a little awkward. The service departments have now been enclosed. 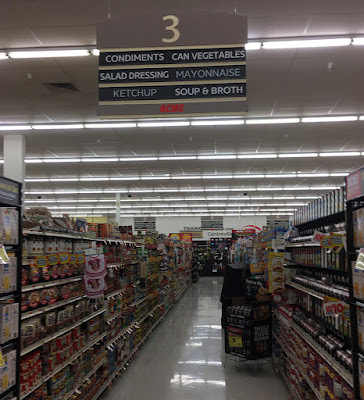 Previously they were completely exposed to the rest of the store. You can see this in the "before" photos of the Deli and Bakery below. "There are gas stations at two other locations,Smyrne,Del and in Philly at Red Lion and Bustleton. As for the decor, it was their crate theme for the farm area location. 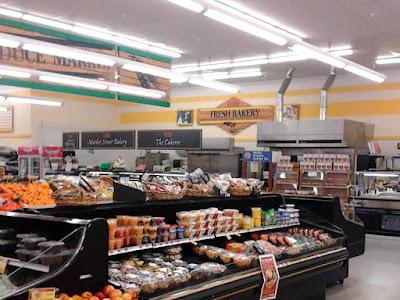 All the equipment for this store came from the remodeled/closed store in Millsboro, Del." 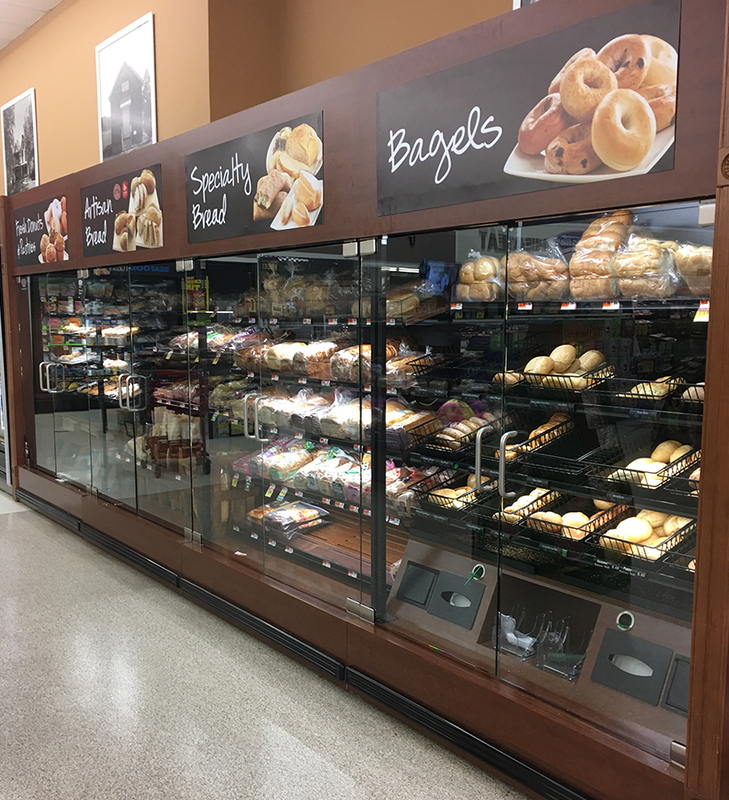 The beautiful new bread display made it into this store! Not every remodeled store gets this new feature, unfortunately. Now if only if Acme would carry better bread! As beautiful as this display is, Acme has the worst selection of fresh baked breads of any major chain out there. Interesting new cake display which we haven't seen on the blog before. 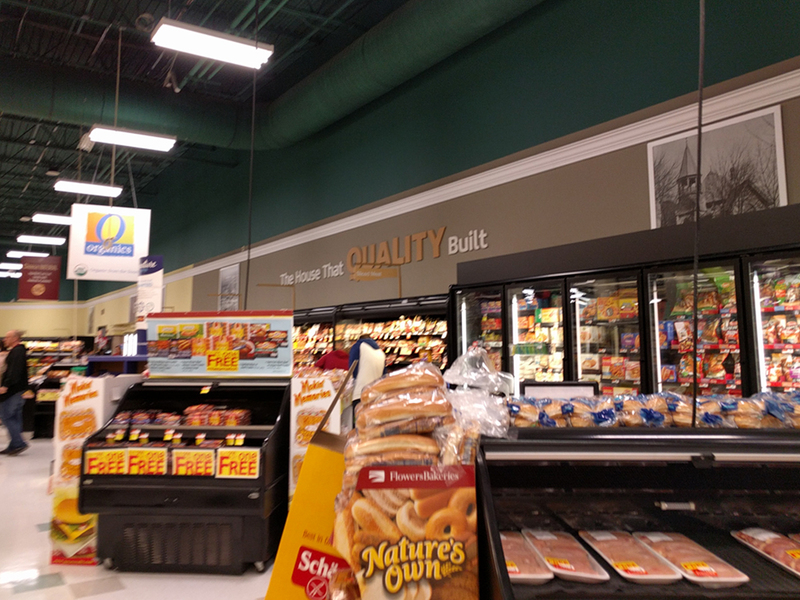 This store used to have a lot of strange alcoves which look to have been removed during the remodel. You can have a look at more of the "before" photos in the original post by clicking here. Strange to see such old-school lighting in a store that opened in the early 2000's. 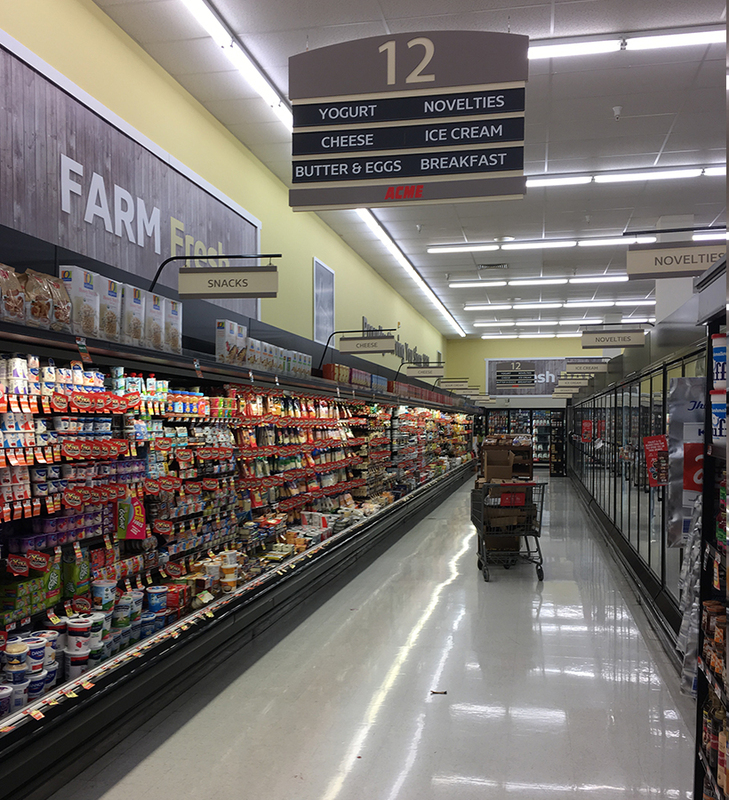 Topping out at 12 aisles. Certainly not as large as many of the new stores Acme built in the early 2000's. Premium Fresh & Healthy signage mixed in with the Crate and Stripes décor. I believe this is the first time we're seeing this light blue wall color. Not my favorite. Also strange the the "Freshest Food Guaranteed" sign is in the Health and Beauty department. 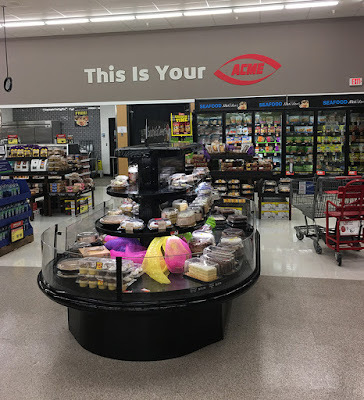 No Pharmacy at this location. 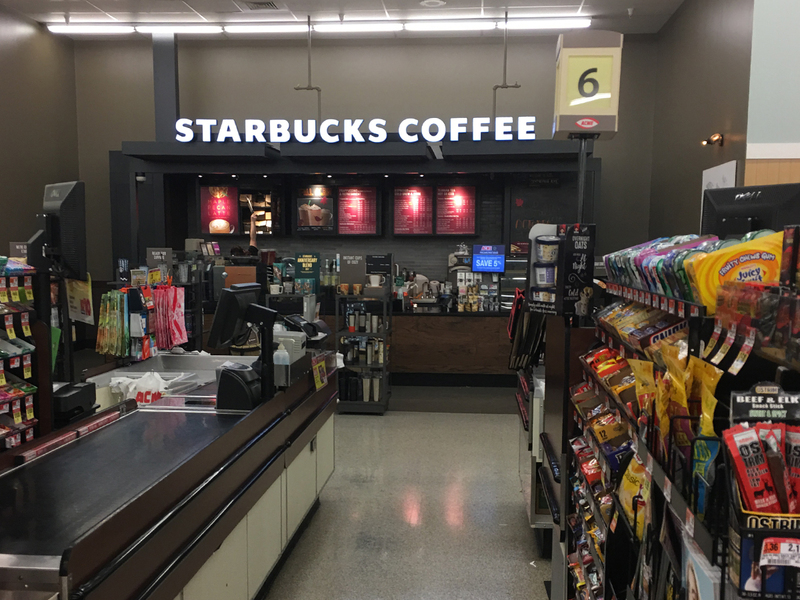 Customer Service bumped out of its alcove to make room for Starbucks. 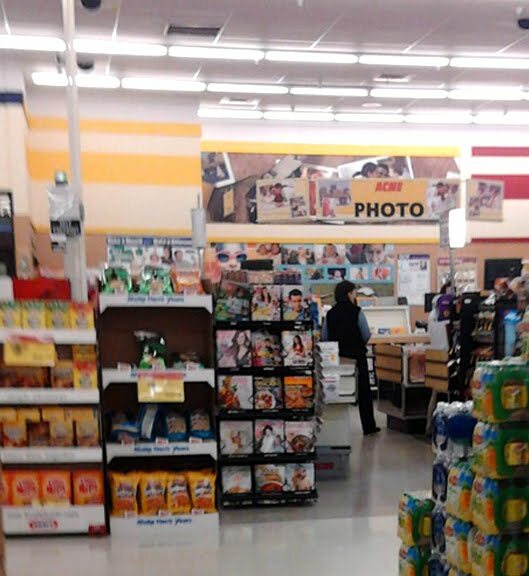 Of course the store used to have self-checkouts. Posting is going to be a little spotty between now and the end of the year. I'm on a huge project at work for the next month and the approaching holidays are going to eat up a lot of free time as well. 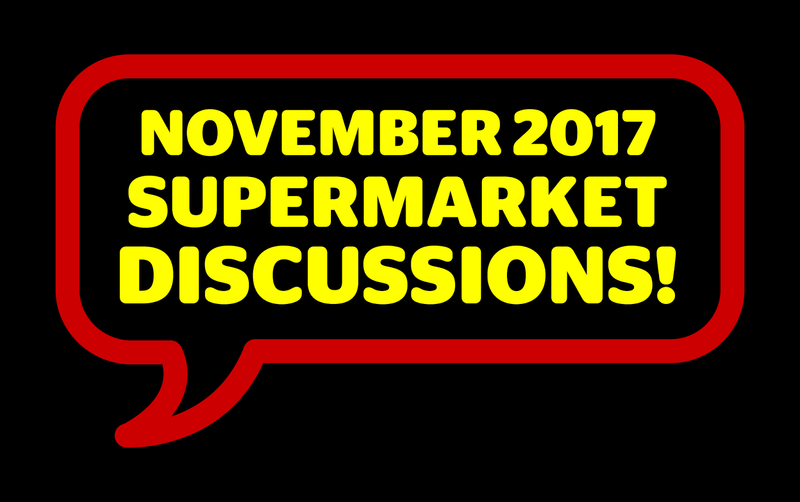 Next week, there will be a post on Monday and a Big Store Post on Wednesday! Couldn't believe my eyes! 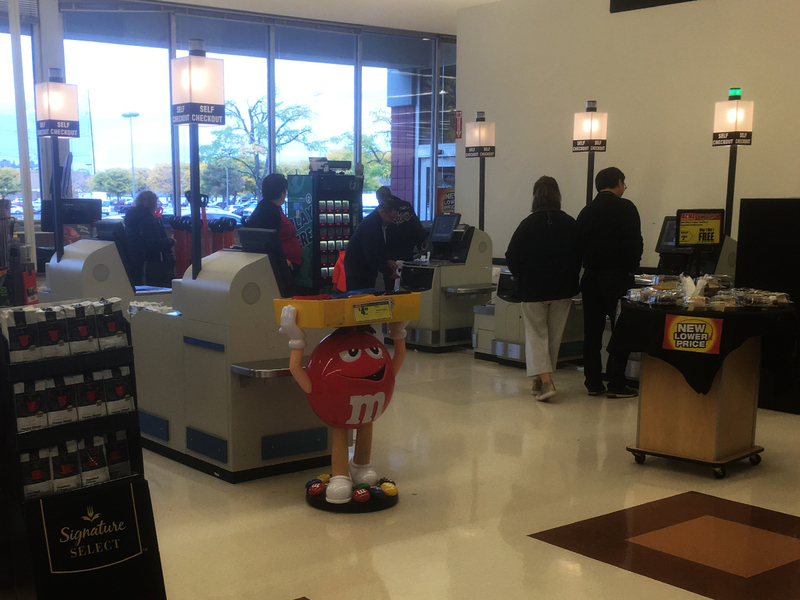 Walked into the Edgewater store yesterday and saw five brand-new self-checkouts. The store had five full-serice registers open as well bringing the total registers open to ten! You don't see that happening in many Acmes. All registers were busy with minimal lines. Should have been this way from day one. 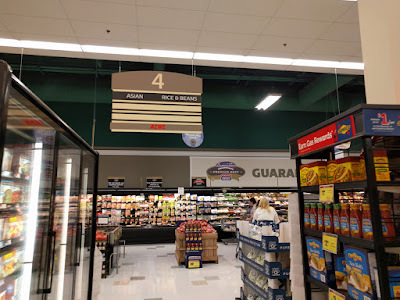 So the three registers to the right are for small orders. There is only one bag rack and no additional space to set items. The registers to the left have two bag racks and space to set items not being bagged. 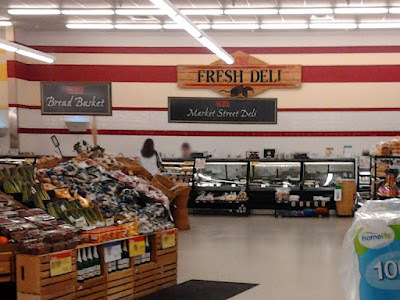 The smaller registers might be a challenge if you fill up one bag. Where do you start putting the rest of your stuff? If you take the full bag off, the system will lock up. Guess you just have to cram everything onto the small platform until you pay. 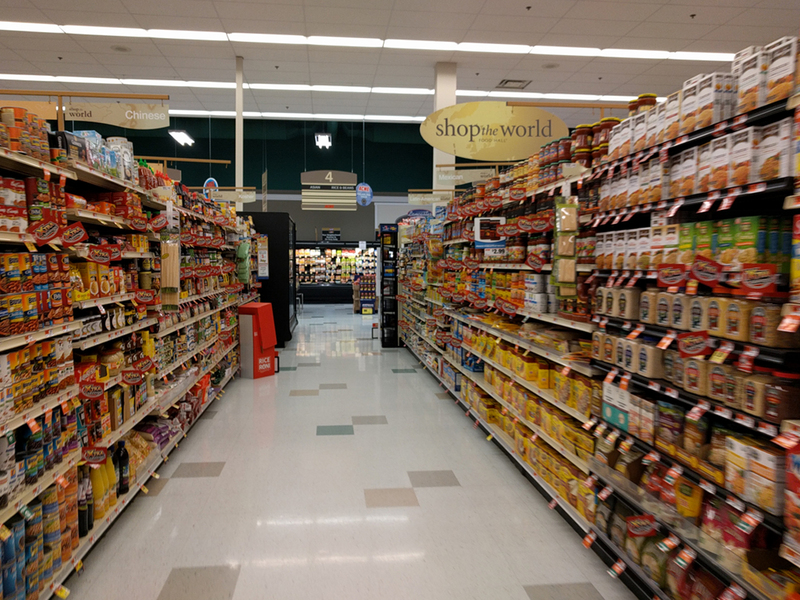 The interface is totally generic and identical to what is used at other stores like Home Depot. 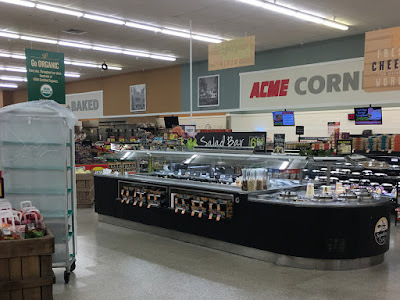 Doesn't even have the ACME logo on screen like A&P and Pathmark did or like Stop&Shop does now. 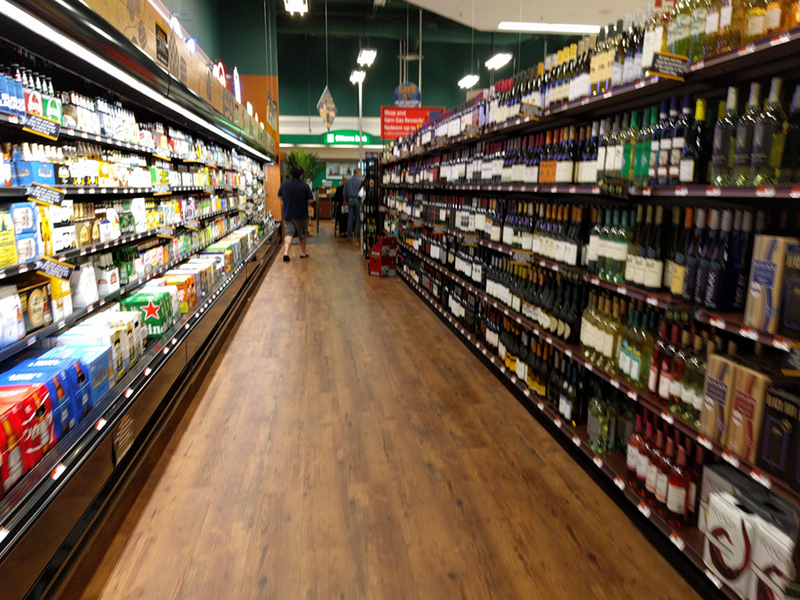 I believe the interface is what Acme used to have on their self-checkouts. Can't say for sure as I rarely shopped at Acme before they returned to my area. I mentioned to the cashier that it was about time they brought these back. As she was walking away from another customer she said (and I'm paraphrasing) "I was just saying... all the money they wasted ripping out the other registers to put these back in. Such a waste." 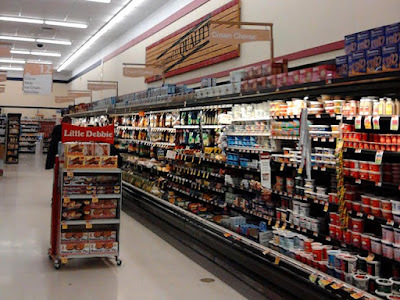 She then pointed to the floor under the registers on the left that still needs to be redone. For a second time. Oh well. 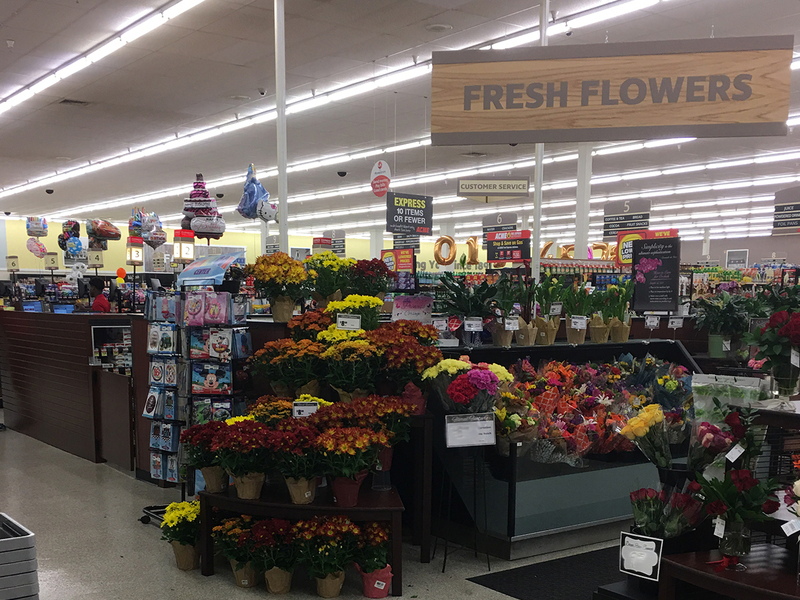 Hey, there was TEN registers open in Edgewater yesterday! That's a big step in the right direction. A lot of us saw this coming. I sure did when I visited the store last month. The place was completely dead at 6:00 pm. 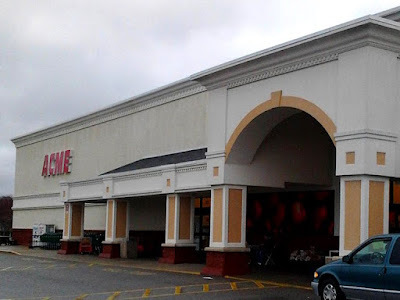 The new ShopRite across the street has won over nearly every Acme shopper. News of the store closing was mentioned in an article on northjersey.com which covered the final day of the Bergenfield store. No closing date was given. 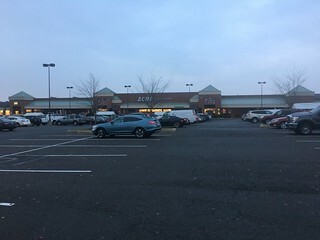 "Acme confirmed in September that it was closing the store, two years after it moved into the former Pathmark following the bankruptcy of the A&P and Pathmark chains. 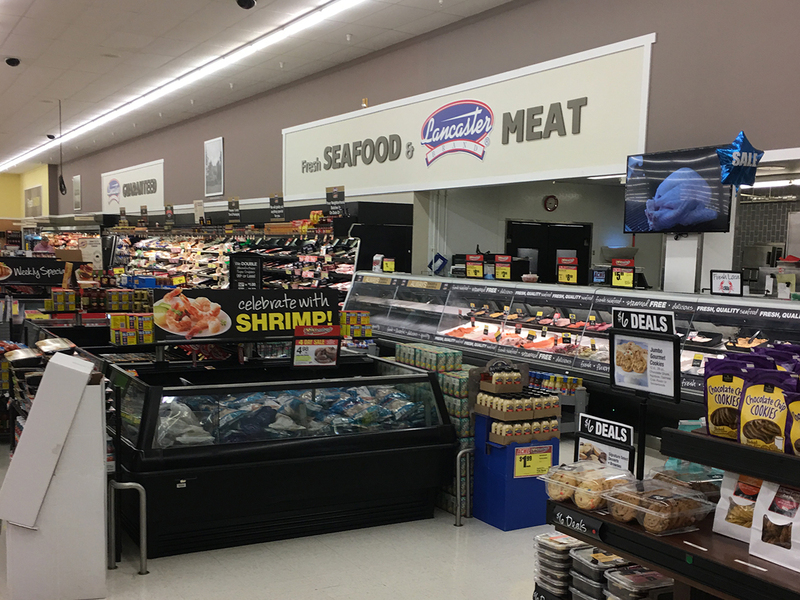 Industry experts at the time speculated that the chain, which paid $256 million to purchase leases on 76 A&P-owned stores, had reopened too quickly and missed an opportunity to differentiate itself from A&P." 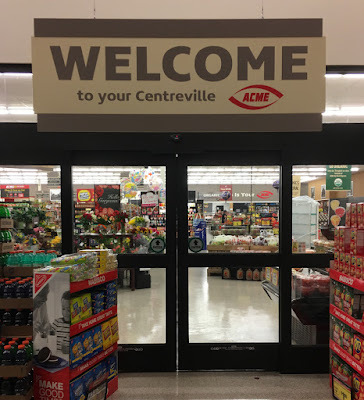 Truth be told, Acme DID differentiate itself from A&P by reducing product selection and running the worst front-ends in the retail industry, let alone the supermarket industry. 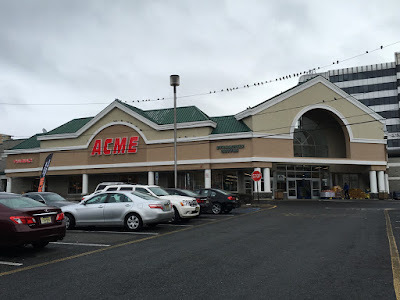 South Plainfield is the perfect poster child for everything that is currently wrong with Acme these days. You can run all the stunningly beautiful, super-clean, well-stocked stores you want but you're still not going to be successful if you offer horrible service and mediocre prices. As I've mentioned before, Acme's prices have improved but when you can still get better deals at Shop&Shop (and get checked out a lot faster) then why bother going to Acme? Who's ShopRite coming for next... Elmwood Park! 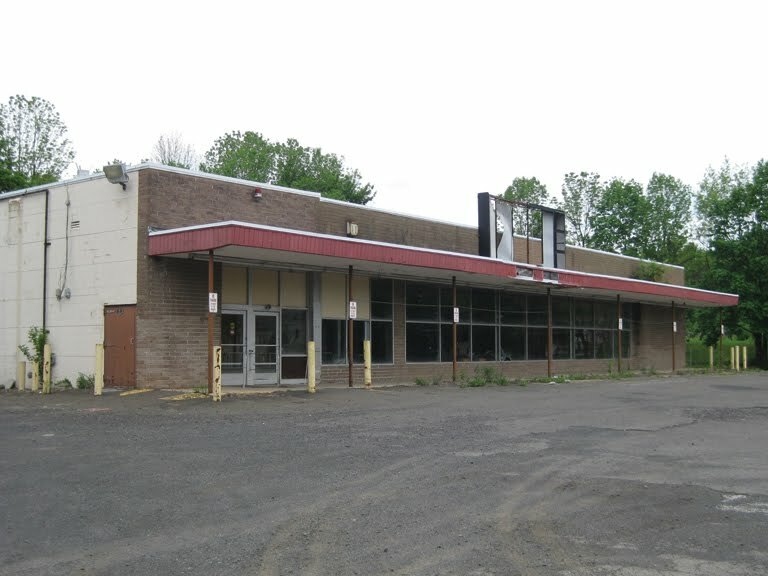 Plans are underway to open in the former Kmart just up the street. Check out the plans by clicking here. Thanks to GSP163 for the link to the northjersey.com article! Interior photos courtesy of Ian A. Quality Built along with The Frosted Mug have officially arrived at the Newtown Acme! The store previously had the deluxe Chalkboard Market décor which has slowly been fazed over the last few years. Surprising that it took this long for one of Acme's top stores to get a full remodel. Updated Lancaster Meats sign now being used for the remodels. 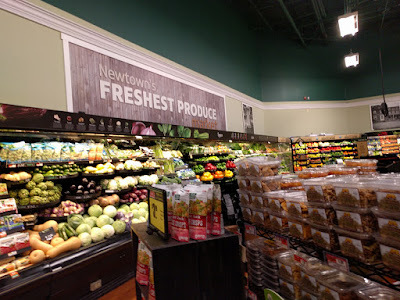 The current Newtown store has nevert been fully featured on the blog. I visited the store back in 2009 when I photographed the former Newtown Acme (photo below). Back in those days, taking pictures with a camera phone was more trouble than it was worth. 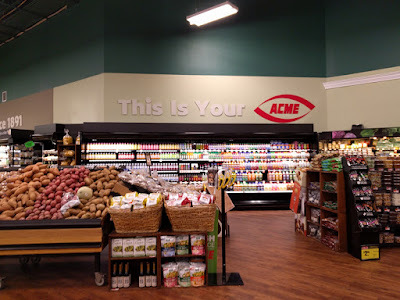 Plus, Acme Style's mission at the time was to document former Acmes only. So I can't link you to previous coverage of this store, but I can send you over to coverage of the former store which continues to be one of the coolest locations ever covered on the blog! 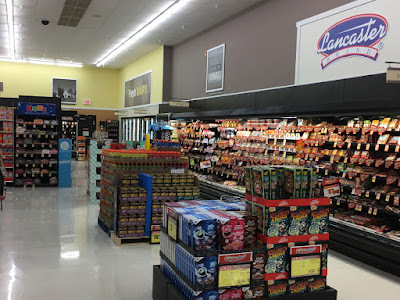 The store is long gone now but you can still have a tour by clicking here. 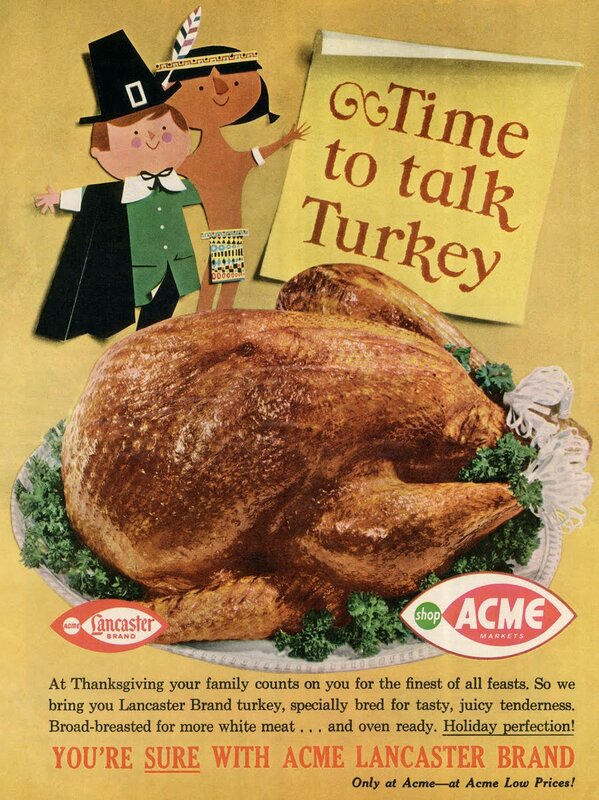 Check out this email from ACME! They're not back in any stores I shop in! 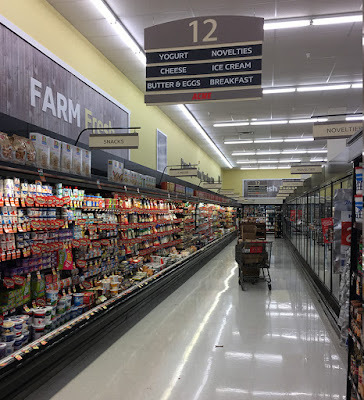 Comments have been coming into the blog for various locations that the self-checkouts are getting reinstalled. 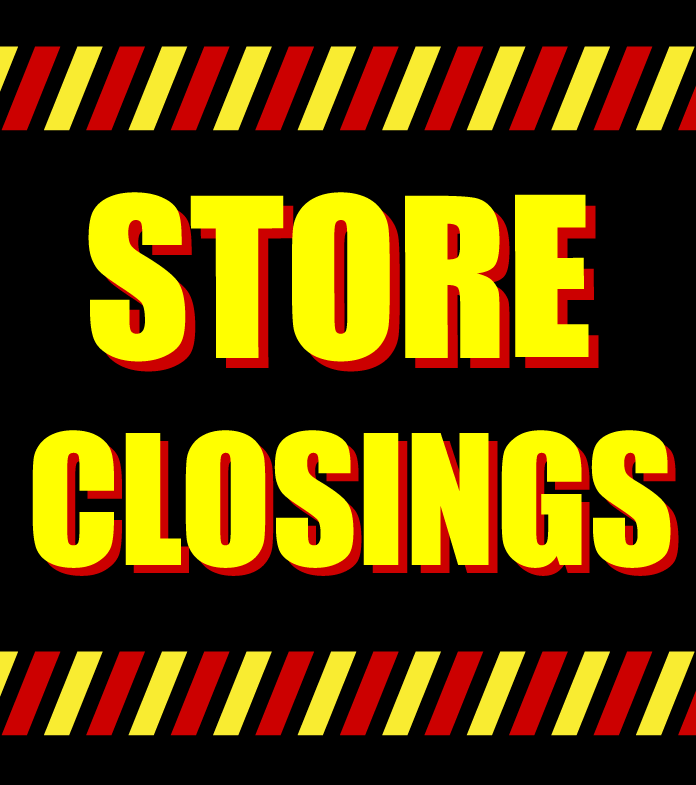 Most recently 19th and Oregon Pike in Philly and the Westmont New Jersey stores. Don't know why they aren't fast tracking the return of self-checkouts to the former A&Ps and Pathmarks. 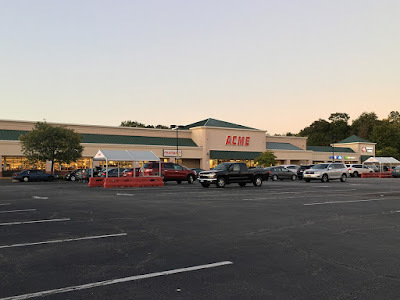 Removing them did nothing but alienate potential Acme shoppers as you can clearly see for yourself in yelp and google reviews for any of the converted stores. The strange thing about this subject line is there is no mention IN the email about the self-checkouts. I looked through the new circular and it's got nothing. 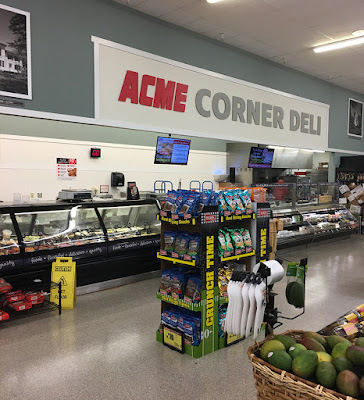 No information on Acme's website either. Just the subject line. Oh well... it's a promising sign nonetheless!